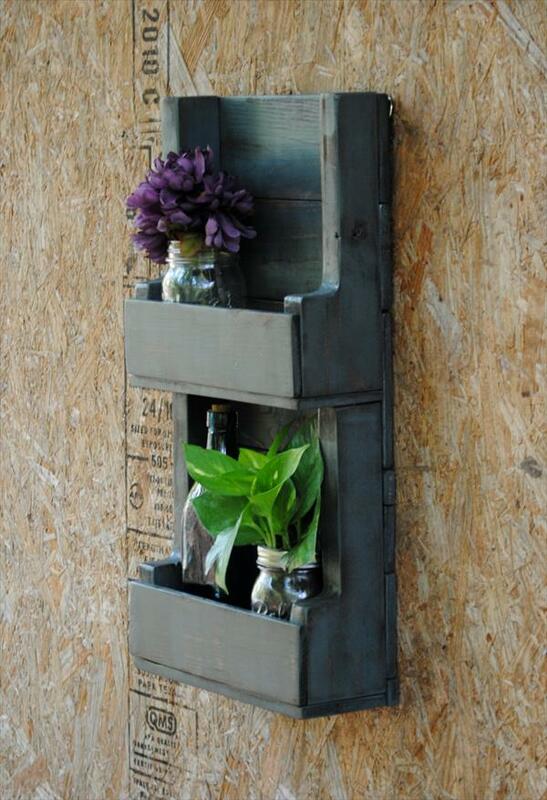 An old or retired thing should having an amazing recycling potential to be reused again and again! 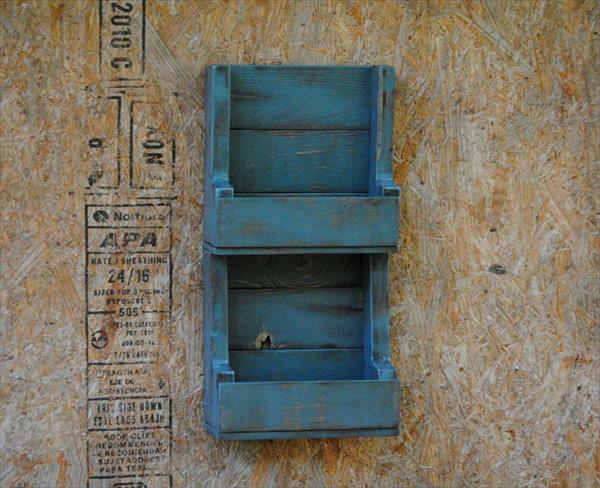 In this respect, pallets are just having incredible recycling potential, one can recycle pallets for some amazing wooden pallet furniture and these wooden crafts can also be recycled further for number of new products like this DIY pallet wall shelf unit made of little pallet scrap! This would just serve any wall area as mini beauty station or organizer and can hold mini flower vases and spice jars amazingly! This is something one can also get for a bathroom wall to safely organize the shaving apparatus or shampoo bottles! Get some pallet remains and a hardware hanging system to install a no-cost organizer or shelving unit to your favorite wall area! 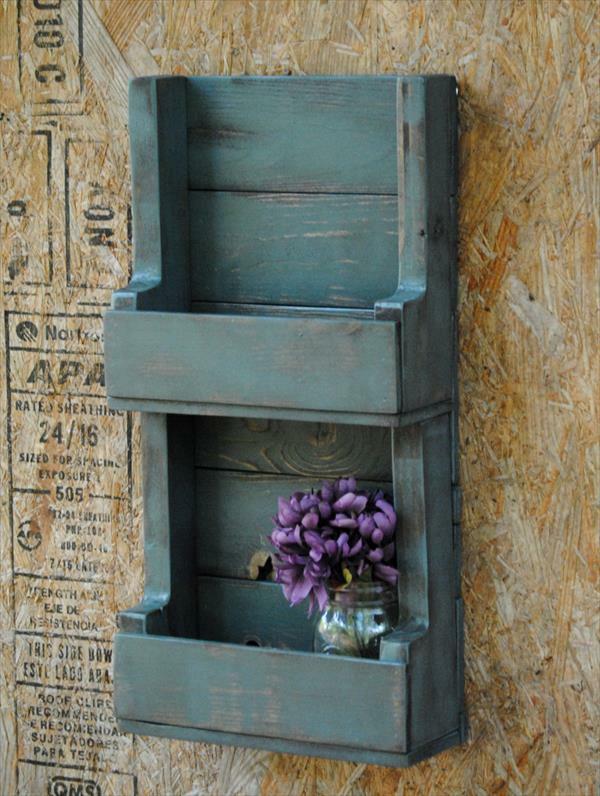 Also tryout the bigger pallet wall organizer and wall shelving units, we have given here a bundle of cool suggestions about building them in easy and creative way!